Solidarity! The groom tears his Achilles’ tendon on his left foot right before the wedding. 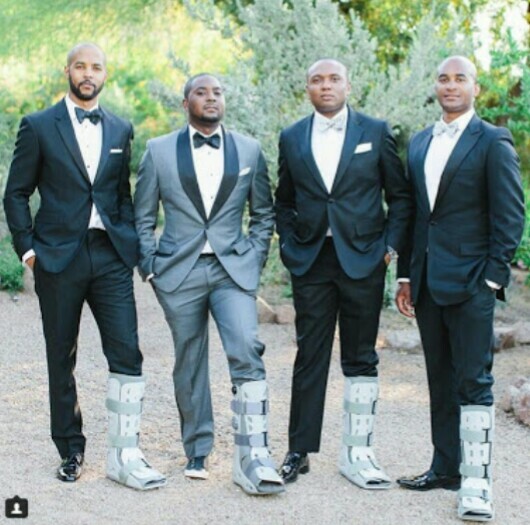 In celebration of friendship, his groomsmen supported him by wearing a boot along with him, attracting a lot of commendation.